The Roman army was one of the most effective fighting forces in history. The legions and their commanders carved out an empire which eventually included the greater part of the known world. This was thanks largely to the generals who led the Roman army to victory after victory, and whose strategic and tactical decisions shaped the course of several centuries of warfare. 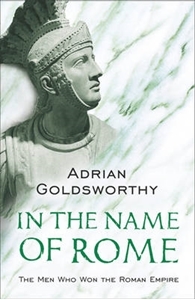 This book, by the author of THE PUNIC WARS, concentrates on those Roman generals who displayed exceptional gifts of leadership and who won the greatest victories. With 26 chapters covering the entire span of the Roman Empire, it is a complete history of Roman warfare.